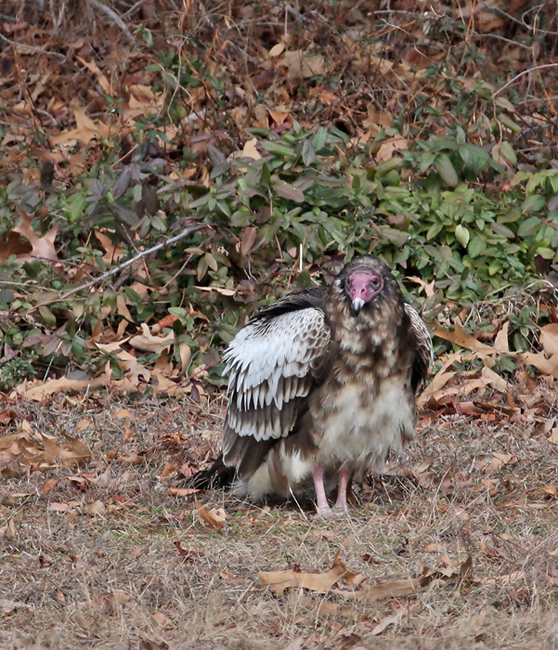 Southern California and Maryland. 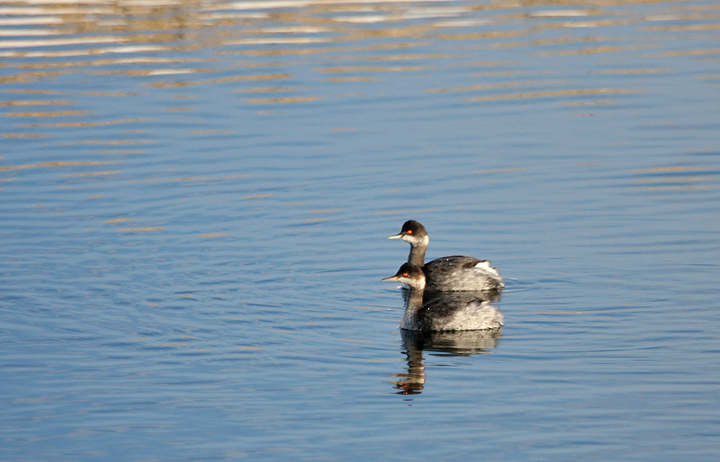 Last updated: 2/4/2008. 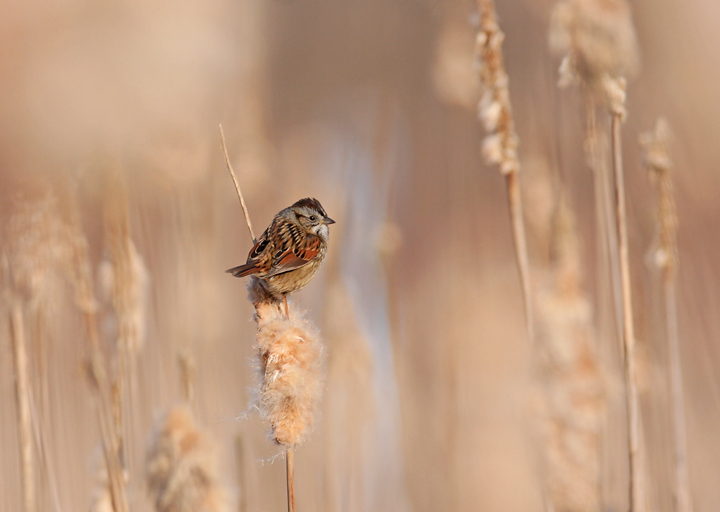 Above: A Swamp Sparrow wintering in a marshy area in Carroll Co., Maryland (1/27/2008). 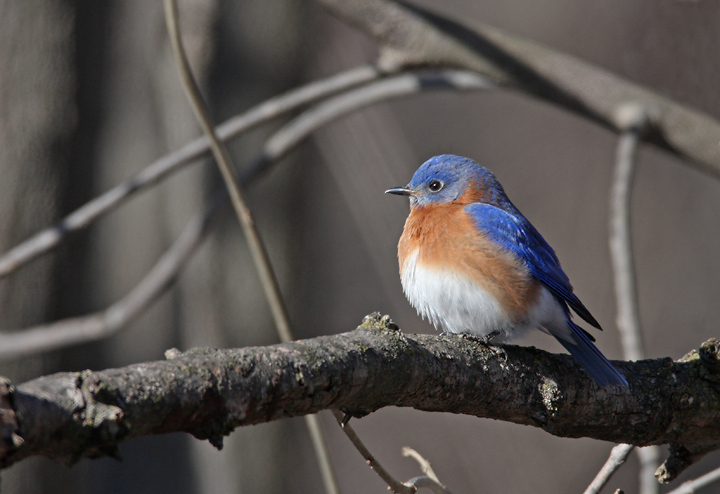 Below: An Eastern Bluebird near the C&O Canal in Washington Co., Maryland (1/20/2008). 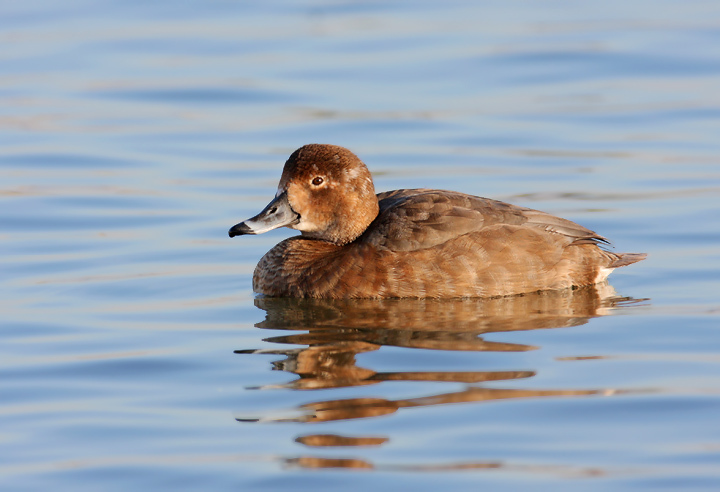 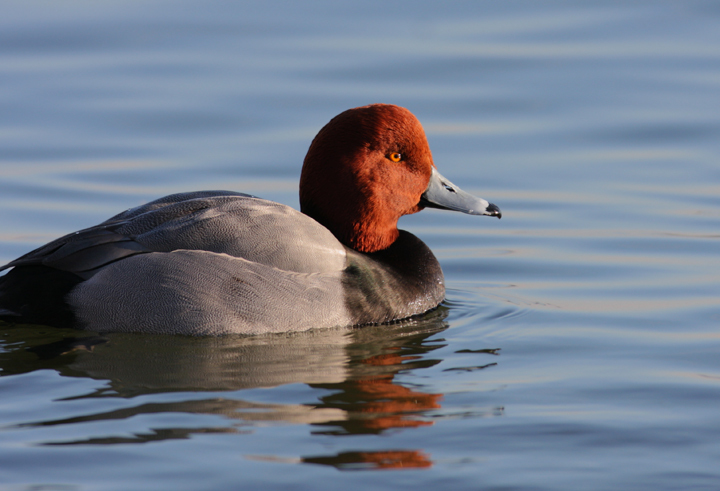 Below two: A drake and hen Redhead, respectively, at the Cambridge waterfront, Dorchester Co., Maryland (2/2/2008). 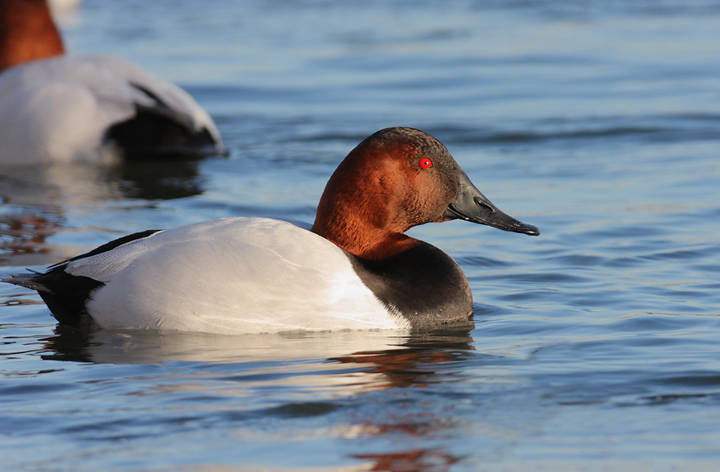 Below two: Likewise, a drake and hen Canvasback at the Cambridge waterfront, Dorchester Co., Maryland (2/2/2008). 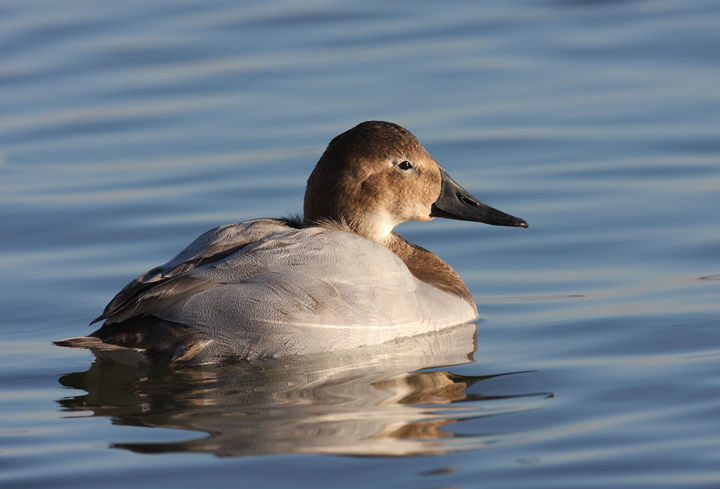 It's a rare treat to enjoy such close-up views of these beautiful birds. 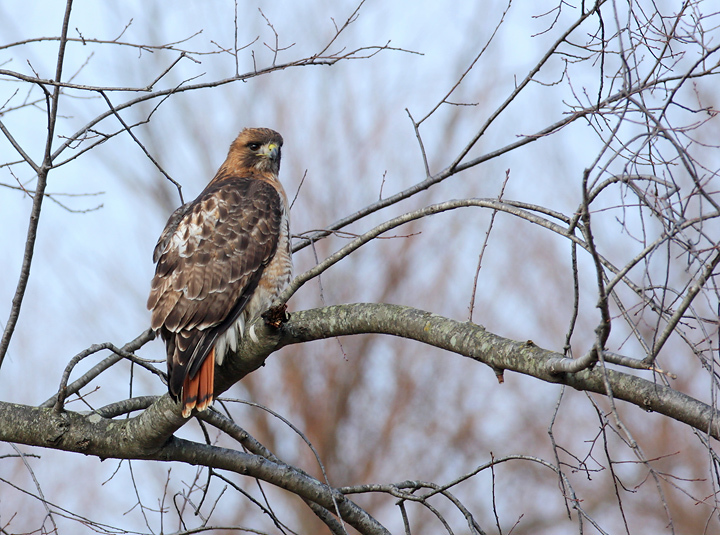 Below: An adult Red-tailed Hawk hunts the edge of a field in Carroll Co., Maryland (1/27/2008). 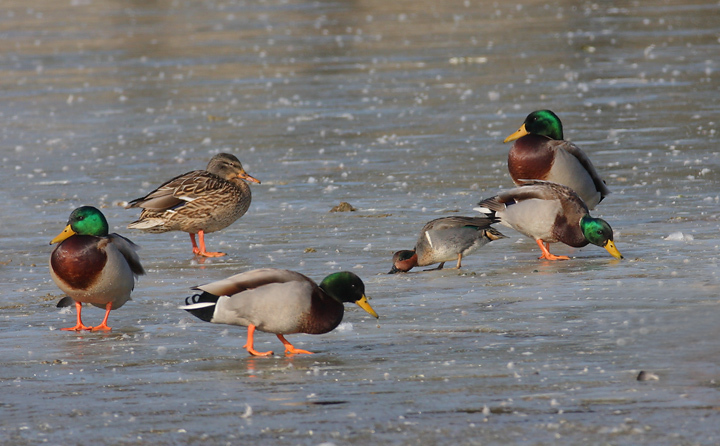 Below: A drake Green-winged Teal forages amidst a flock of Mallards on a frozen pond in Carroll Co., Maryland (1/27/2008). 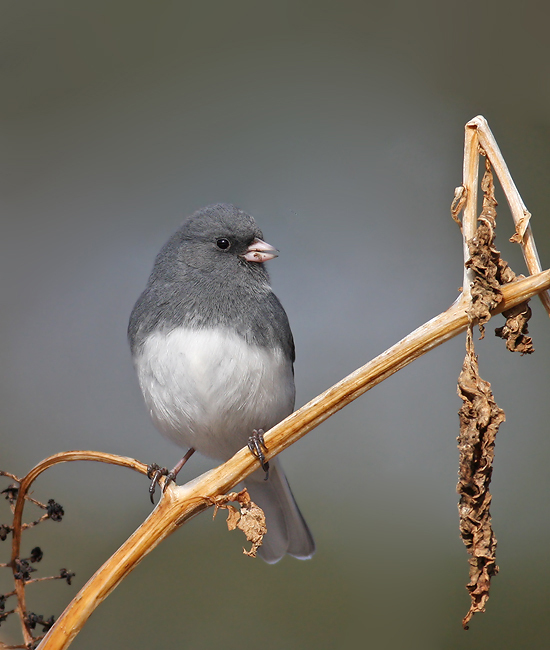 Below: A male Slate-colored Junco at Rocky Gap SP, Allegany Co., Maryland (1/19/2008). 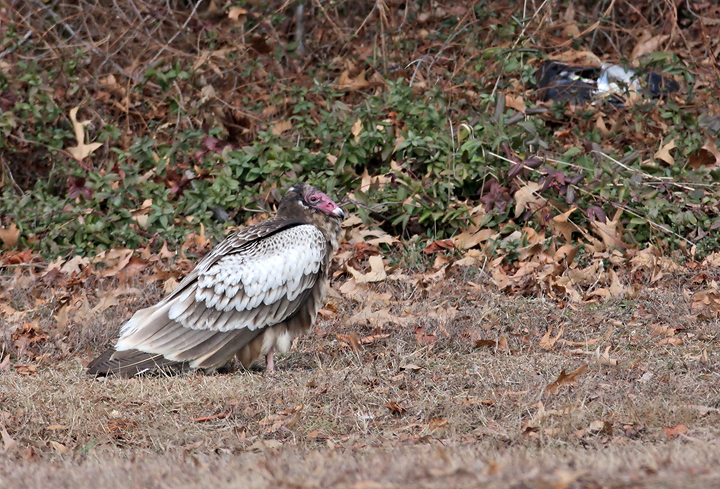 Below: A very cool, partially leucistic Turkey Vulture in Charles Co., Maryland (1/26/2008). 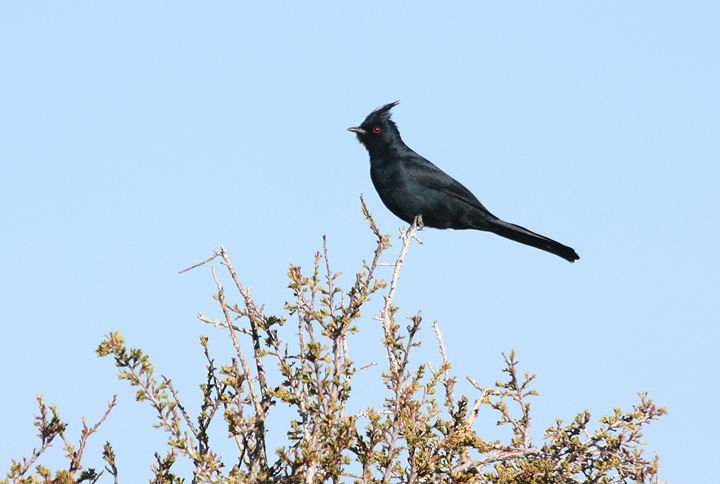 Below: A Phainopepla in southern California (1/11/2008). 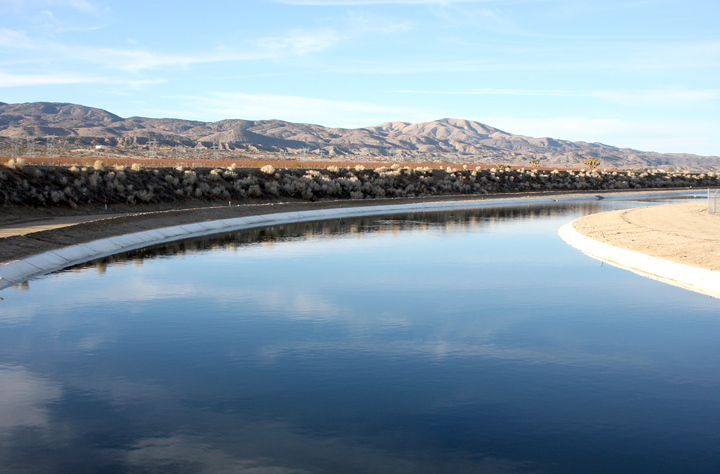 Below: Overlooking the California Aqueduct near Piñon Hills, California (1/12/2008). 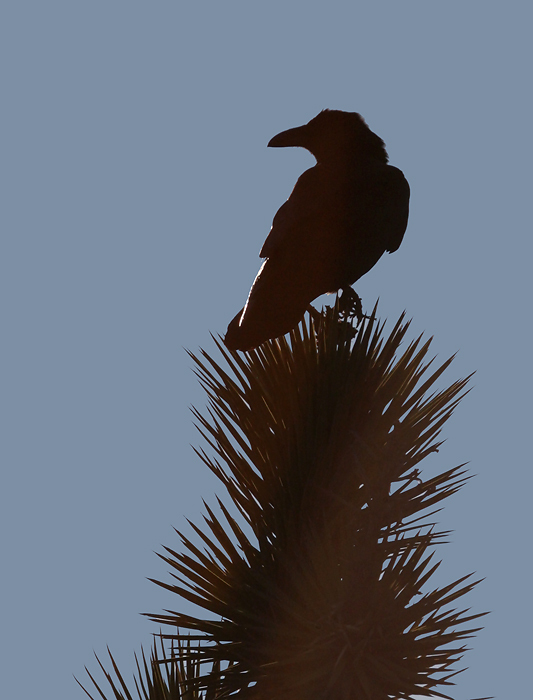 Below: Silhouette of a Common Raven on a Joshua Tree in Piñon Hills, California (1/11/2008). 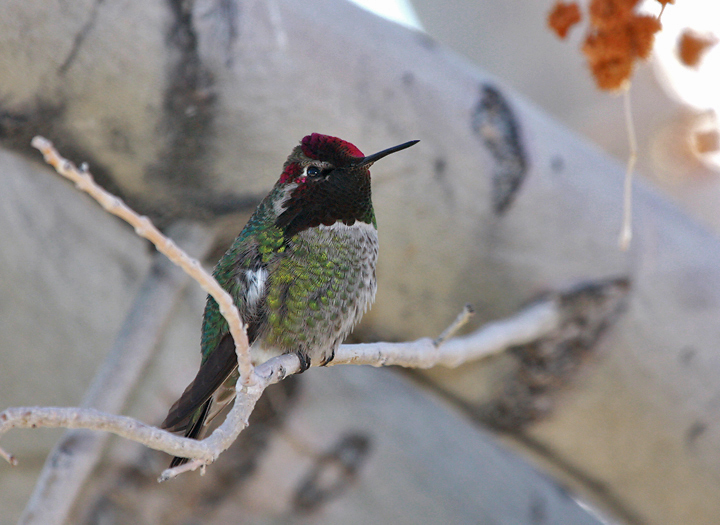 Below: A male Anna's Hummingbird in Piñon Hills, California (1/11/2008). 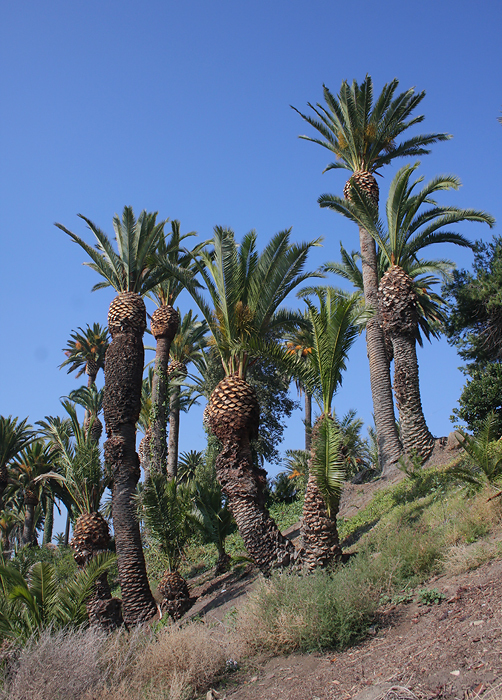 Below: Point Fermin, near San Pedro, California (1/10/2008). 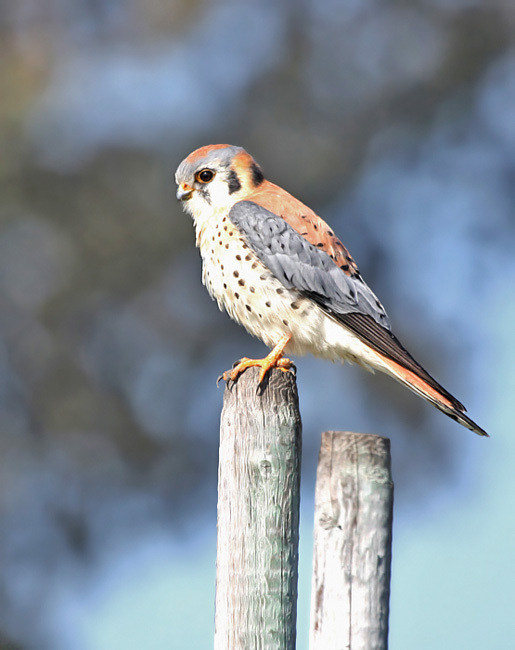 Below: A male American Kestrel hunts an open area near San Pedro, California (1/10/2008). 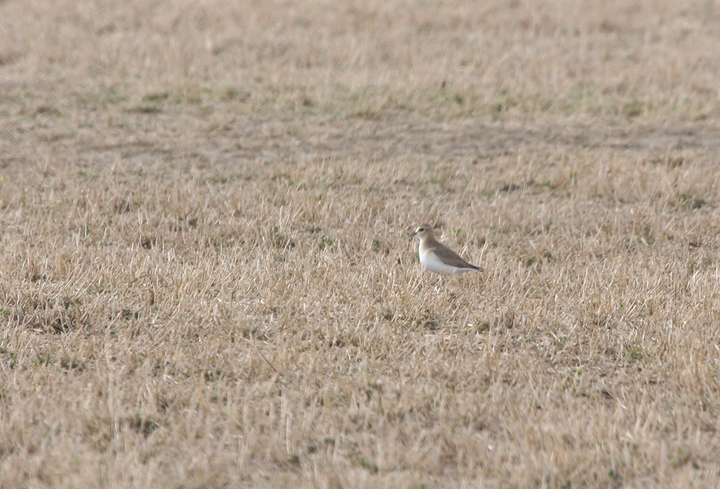 Below: A Mountain Plover forages in a field east of Lancaster, California (1/12/2008). 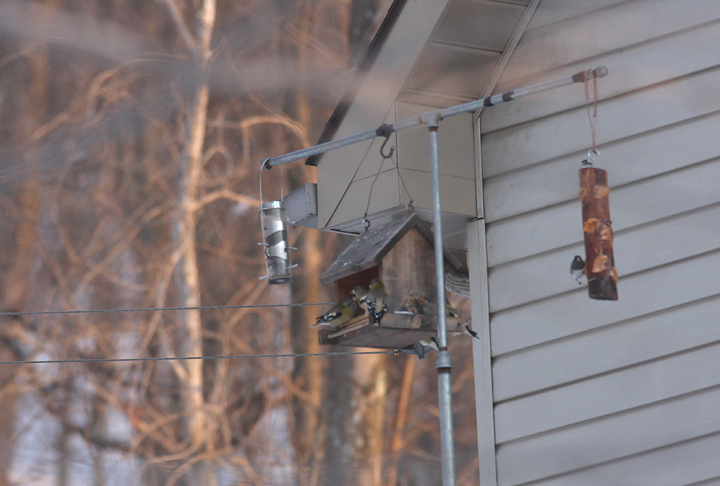 Below: Documentation photo of a flock of Evening Grosbeaks in Garrett Co., Maryland (1/20/2008).